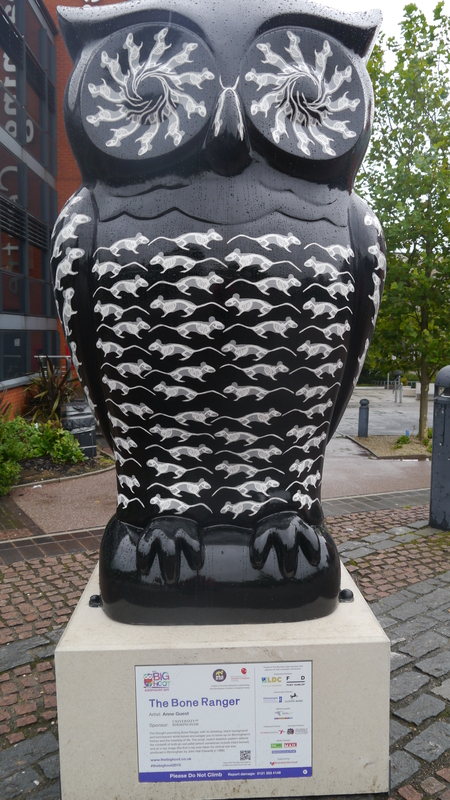 On September the 14th, I was travelling around South Birmingham searching for the fibreglass owls that make up The Big Hoot trail. 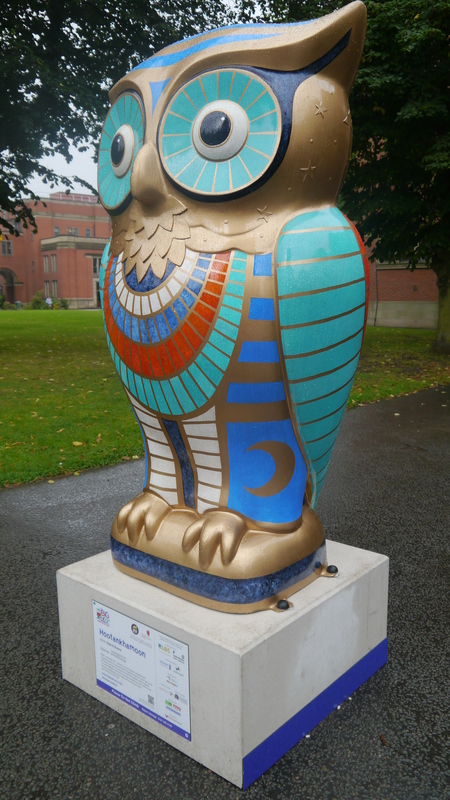 One I found was number 88: Hootankhamoon by Dale Evans. Based in Cardiff, Dale Evans has worked as an artist / illustrator for many years. Her botanical illustrations can be seen in the collections of the National Museum of Wales. 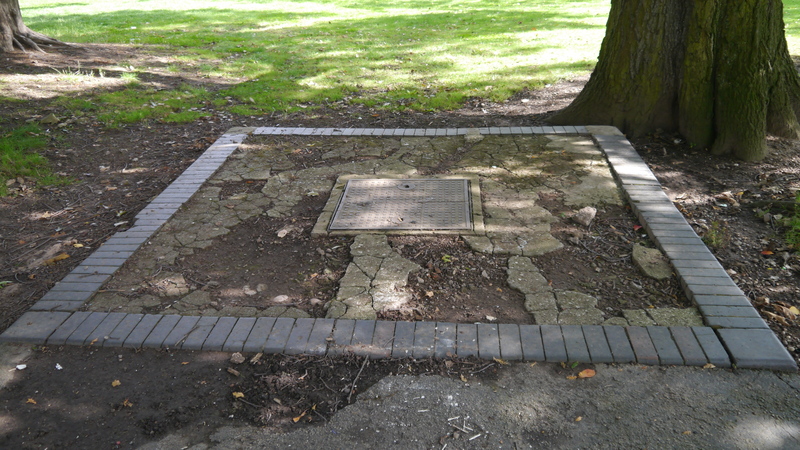 After completing an MA in Fine Art, Dale now works in a variety of media, and exhibits her own projects. 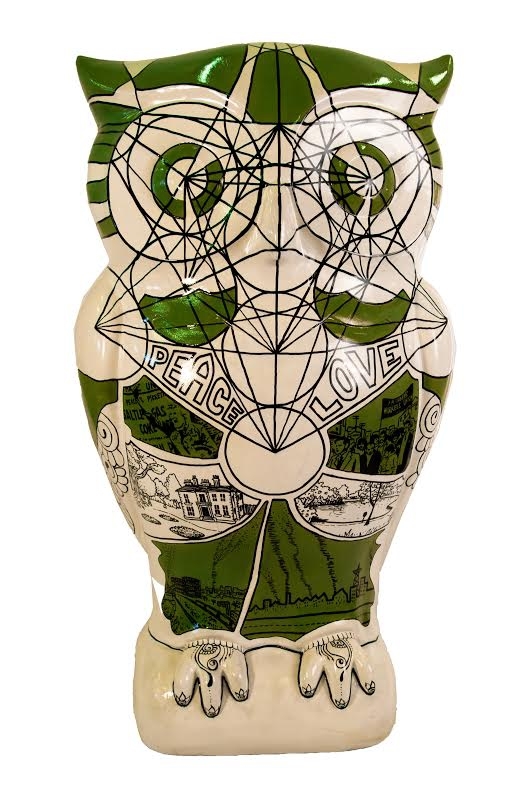 On September the 14th, I was travelling around South Birmingham searching for the fibreglass owls that make up The Big Hoot trail. One I found was number 87: The Bone Ranger by Anne Guest. Anne Guest is an established artist, based in Birmingham. Her art is an exploration of natural sciences, and her concepts stem from medical research and natural history, combined with the symbolism of ‘memento mori’ (the medieval Latin theory and practice of reflection on mortality) – referencing the transience of life and fragility of existence. Anne graduated from Birmingham City University in 2006 with an MA in Fine Art and has since exhibited widely, both nationally and internationally.